1000 Friends of Wisconsin is looking for volunteers to reach their goal of preserving natural resources by building healthy communities across Wisconsin. To find out more about how you can volunteer, visit www.1kfriends.org or call (608) 259-1000. ABC for Health is a public interest law firm working to improve care access and coverage for children and their families, especially those with special health care needs. The American Civil Liberties Union of Wisconsin is looking for volunteers to advocate for freedom of speech, right to privacy, racial justice, voting rights, criminal justice, reproductive rights, and fair treatment of the lesbian, gay, bi-sexual and transgender community. For more information, visit www.aclu-wi.org or call (414) 272-4032. Arts Wisconsin seeks to grow and strengthen Wisconsin through the arts, culture, creativity, and innovation. To find out how you can volunteer and make this happen, visit www.artswisconsin.org or call (608) 255-8316. The Bayview Foundation, which promotes housing, human service, arts appreciation and culture awareness in a multi-cultural setting, is looking for volunteers to help with a variety of tasks at the facility located at 601 Bayview in Madison. Activities for volunteers include inside and outside maintenance work, tutoring children with their studies, teaching beading, knitting, sewing and other crafts, helping non-English speaking adults with English as Second Language courses, and bingo for senior citizens. To find out more, contact Sheri Harper at 256-7808. The Center for Family Policy and Practice addresses chronic social issues related to race, class and gender. They advocate for social welfare policies that would benefit every member of society. To find out about volunteer opportunities, visit www.cffpp.org or call (608) 257-3148. The Center for Media and Democracy is a national watchdog group exposing spin, documenting financial influence, and assisting health, economic, and environmental activists. For volunteer opportunities, visit www.prwatch.org or call (608) 260-9713. The Center for Resilient Cities practices sustainable community development, finding out the needs of the neighborhoods it serves, and then creating a plan to fill current and future needs. To volunteer, visit www.resilientcities.org or call (608) 255-9877. Chrysalis, transforming lives of those with mental illness. Chrysalis is always looking for dedicated and passionate volunteers to help with one of their events or to volunteer onsite. Visit www.workwithchrysalis.org or call (608) 256-3102 to find out more. The Citizens Utility Board advocates for reliable and affordable utility service. To find out how you can volunteer and help, visit www.wiscub.org or call (608) 251-3322. Clean Wisconsin protects Wisconsin’s clean water and air and advocates for clean energy. They are regularly in need of volunteers to write letters to your editors, help with in-office tasks, and more. For more information, visit www.cleanwisconsin.org or call (608) 252-7020. The Coalition of Wisconsin Aging Groups is a statewide, grassroots advocacy organization concerned with issues affecting older persons and their families. For more information on how you can volunteer, visit www.cwagwisconsin.org or call (608) 224-0606. Common Wealth builds community through affordable housing, youth development, small business development, job creation, and the arts. For more information on how to volunteer, visit www.cwd.org or call (608) 256-3527. Community GroundWorks connects people to nature and local food through hands-on education in community and youth gardening, urban farming, healthy eating, and land restoration. There are volunteer opportunities to develop valuable skills in organic gardening, natural areas restoration, environmental education, community gardening, and more. For more information, visit www.communitygroundworks.org or call (608) 240-0409. The Dane County TimeBank is a network of individuals and communities who exchange services and skills to build community. To find out how you may volunteer, visit www.danecountytimebank.org or call (608) 663-0400. Disability Rights Wisconsin protects and advocates for the rights of people with disabilities throughout Wisconsin. For information on how you may volunteer, visit www.disabilityrightswi.org or call (608) 267-0214. End Domestic Abuse Wisconsin is seek volunteers and interns. All of the intern positions are for the spring of 2015 semester and volunteer opportunities are accepted on a rolling basis. Current opportunities are Website Project Volunteer, Volunteer Program Administrative Assistant, and Document Editor. For more information email Vicki at vickib@endabusewi.org. Fair Housing Center of Greater Madison seeks to eradicate discrimination in the housing market through education and enforcement. To fin out how you may volunteer, visit www.fairhousingwisconsin.com or call (608) 257-0853. FairShare CSA Coalition Inc. works to strengthen the community-supported agriculture (CSA) movement, support small-scale vegetable farmers, and build local economies. To become an ongoing or periodic volunteer and to help out with events, outreach, and other opportunities, visit www.csacoalition.org or call (608) 226-0300. Freedom Inc. Building leadership in low-income communities of color-to challenge the root causes of violence, racism, and poverty. To find out how you may volunteer, visit www.freedom-inc.org or call (608) 661-4089. Friends of Wisconsin State Parks. Enhancing, preserving, restoring, protecting, and promoting the Wisconsin State Park System for future generations. To find out how you may volunteer, visit www.fwsp.org or call (608) 264-8994. Gathering Waters: Wisconsin’s Alliance for Land Trusts. Helping land trusts, landowners, and communities protect the places that make Wisconsin special. To find out how you may volunteer, visit www.gatheringwaters.org or call (608) 251-9131. GSAFE. Creating safe schools for lesbian, gay, bisexual, transgender, and questioning (LGBTQ) youth and for all students. GSAFE has many ongoing volunteer opportunities. They include: kitchen help, website support, special event help, and being a table captain. To find out more information, visit www.gsafewi.org or call (608) 661-4141. Grassroots Empowerment Project. An organization run for and by people who are consumers of mental health services-to support recovery and wellness. To find out how you may volunteer, visit www.grassrootspower.org or call (800) 770-0588. Housing Initiatives. Providing permanent housing solutions to homeless people with mental illness. To find out how you may volunteer, visit www.housinginit.org or call (608) 277-8330. Interfaith Coalition for Worker Justice in South Central Wisconsin, a group of religious, labor and community organizations working for better wages, benefits and working conditions for low wage workers, is looking for volunteers to help with the following tasks: 1) Attend community events to speak with the public about the mission of the organization, 2) Communicate the mission and the group’s latest news through social media, printed materials and online resources.3) Perform office work such as data entry, mailings, photocopying and keeping the office organized and on the go. For more information, visit www.workerjustice.org or call (608) 819-4740 ext. The League of Women Voters Education Fund is looking for men and women to serve as volunteers to help promote the league’s mission to make democracy work, and advocate for clean and responsive government. For more information, visit www.lwvwi.org or phone (608) 256-0827. Linda and Gene Farley Center for Peace, Justice, and Sustainability. Making this a world where peace, justice, and sustainability become the soil in which our future can grow. They are looking for volunteer interns to work with the Farm Incubator. If you are interested, visit www.farleycenter.org or call (608) 845-8724. Madison Area Community Land Trust. Creating perpetually affordable homes and protecting green spaces. To find out more information how you may volunteer, visit www.affordablehome.org or call (608) 280-0131. NARAL Pro-Choice Wisconsin Foundation, which advocates for women’s reproductive rights, privacy rights and access to reproductive health care choices, is looking for volunteers in the Madison office for data entry, mailings and making phone calls. You also may donate your time by representing the group at fairs and festivals throughout Wisconsin, organizing events and helping with lobbying efforts. For more information, visit www.prochoicewisconsin.org, email info@prochoicewisconsin.org, or call (608) 287-0016. New Harvest Foundation, which channels charitable contributions exclusively to organizations that promote lesbian, gay, bi-sexual and transgender rights, services, culture and community development, is looking for volunteers to serve on one of its committees. Participants can get involved in grant screening, events planning, fundraising and development, communications, and finance. To learn more, visit www.newharvestfoundation.org or call (608) 467-4445. • Tutor one or two children at a time in literacy or math (in English or Spanish- bilingual tutors are especially needed), with materials provided by school staff. • Commit at least one hour per week on a consistent basis for at least one academic semester. • Be placed between the hours of 8:30 am and 3:00 pm, based on availability. • Never tutored before? Don’t worry—training is provided! If you would like more information about tutoring and/or would like to apply, please contact Marissa Gehrke, the Schools of Hope AmeriCorps Tutor Coordinator at Nuestro Mundo at nuestromundo@schoolsofhope.org. OutReach. Lesbian, gay, bisexual, and transgender (LGBT) community center that promotes equality and quality of life for LGBT people. Volunteer opportunities include: peer counselling, taking part in services in Rock County, and helping set up events. To find out more information, visit www.lgbtoutreach.org or call (608) 255-8582. Outside the Bean (formerly Community Action on Latin America). Coordinates community-to-community partnerships between people in the U.S. and coffee farming families in Latin America. To find out how you may volunteer, visit www.outsidethebean.org or call (608) 251-3241. Perfect Harmony Men’s Chorus. Building a better world through song and sharing our lives as LGBT (lesbian, gay, bisexual, transgender) people. Volunteers are needed for projects, social events, and retreats. To find out more information, visit www.perfectharmonychorus.org or call (608) 347-5178. Physicians for Social Responsibility-Wisconsin. Promoting a healthy environment, access to healthcare, and security through the abolition of nuclear and other weapons of mass destruction. To find out more information about how you may volunteer, visit http://www.psr.org/chapters/wisconsin/ or call (608) 232-9945. The Progressive. A journalistic voice for peace and social justice at home and abroad. To find out how you may volunteer at The Progressive, visit www.progressive.org or call (608) 257-4626. Project Home, which provides home repairs to the needy, is looking for skilled and community volunteers to assist with renovation projects. The group is also accepting building material donations. To find out more, visit www.projecthomewi.org, email Kathy at events@projecthomewi.org or call (608) 246-3737 ext. 2105. REAP Food Group. Growing a healthful, just, and sustainable food system that supports local farms, encourages sustainable agriculture, and increases access to a diverse, safe local food supply. REAP needs volunteers to help out with events, office tasks, and other projects. To find more information, visit www.reapfoodgroup.org or call (608) 310-7836. River Alliance of Wisconsin. We save rivers. To find out more information about how you may volunteer, visit www.wisconsinrivers.org or call (608) 257-2424. Rock River Coalition. Developing partnerships to improve local waterways through citizen engagement and community improvement efforts. There are many volunteer opportunities for people of all ages and skill levels. Check out the projects page at www.rockrivercoalition.org or call (920) 674-7200 to get more information. Sustain Dane offers Sustainability Sessions that provide guidance on how to make responsible choices while preserving Earth’s natural resources. To learn more, visit www.sustaindane.org or call (608) 819-0689. Sierra Club Foundation – John Muir Chapter. Working to protect Wisconsin’s clean air, clean water, and special places. Volunteer opportunities are available for office work, tabling, website work, and more. Visit www.wisconsin.sierraclub.org or call (608) 256-0565 to get more information. Sustain Dane. Generating and inspiring local sustainability. Visit www.sustaindane.org to see the list of current volunteer openings or call (608) 819-0689. The Tenant Resource Center, which defends the rights of Wisconsin renters, has a need for mediators to help negotiate agreements between tenants and landlords to curb homelessness in Dane County. The group also offers in-depth training for volunteer housing counselors and needs people willing to donate time for routine office tasks. For more information, visit www.tenantresourcecenter.org or call (608) 257-0006. UNIDOS against Domestic Violence, a safe haven for Latino victims of domestic violence and sexual assault, has a number of volunteer opportunities available. People can help organize group activities and fundraising events, or donate their time on day to day office tasks. For more information, visit www.unidosagainstdv.org or call (608) 256-9195. You don’t have to know how to repair a bicycle to be a valuable volunteer in Wheels for Winners, which provides free bicycles to children while teaching them work ethics, personal responsibility and biking safety. Volunteers are needed for community outreach, computer work, event planning, fundraising and Web design. 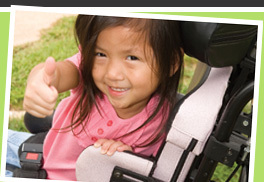 For more information, visit www.wheelsforwinners.org or call (608) 249-2418. Wisconsin Alliance for Women’s Health. Ensuring that policy happens with Wisconsin women rather than TO them! To find out about volunteer opportunities, visit www.supportwomenshealth.org or call (608) 251-0139. The WI Coalition Against Sexual Assault (WCASA) is looking for a Clerical Volunteer or Volunteers. Please consider joining this organization committed to “Creating the Social Change Necessary to End Sexual Violence”. A full job description is provided on WCASA’s website. If interested please contact Kathleen Brandenburg, Office Manager, at (608) 257-1516 or wcasa@wcasa.org. Wisconsin Council of the Blind and Visually Impaired. Promotes independence of the blind and visually impaired by providing services, advocating for legislation, and educating the public. To find out about volunteer opportunities, visit www.wcblind.org or call (608) 255-1166. The Wisconsin Democracy Campaign, a group that advocates for fair government without the influence of outside money, encourages volunteers to organize neighborhood meet-ups and community forums to discuss political issues and legislation that impact state residents. To learn more, visit www.wisdc.org or call (608) 255-4260. Wisconsin Early Childhood Association. Meeting the professional needs of adults who nurture and teach Wisconsin’s young children through a rich continuum of services. To find out about volunteer opportunities, visit www.wisconsinearlychildhood.org or call (608) 240-9880. Wisconsin Family Ties. Enhancing lives by promoting children’s mental health through support, education, and advocacy for families. To find out about volunteer opportunities, visit www.wifamilyties.org or call (608) 267-6888. Wisconsin Farmers Union. Championing policies that promote conservation, cooperative development, renewable energy, and civic engagement in rural Wisconsin. To find out about volunteer opportunities, visit www.wisconsinfarmersunion.com or call (715) 723-5561. The Wisconsin League of Conservation Voters is looking for volunteers to help spread its mission to protect the state’s water, air, land and public health. People are needed to contact decision makers, work with media, educate voters and perform other tasks. If you’re interested, visit conservationvoters.org or phone (608) 661-0845. Wisconsin Literacy, which strengthens Wisconsin’s workforce, families and communities through literacy, needs volunteer tutors to assist adults and children with their reading skills. Evening office managers, data collection managers, grant writers, website managers and bookkeepers are also needed. To learn more, visit www.wisconsinliteracy.org or call (608) 257-1655. The Wisconsin Network for Peace and Justice, a regional network of 172 groups and hundreds of individuals advocating for a sustainable world free of violence and injustice, needs volunteers to perform a variety of important tasks. People may help with the preparation and mailing of newsletters, updating the website, attending meetings and conferences, making phone calls to decision makers, assisting in fundraising efforts, and updating the group’s membership directory. Contact www.wnpj.org or call (608) 250-9240 for more information. Wisconsin Wetlands Association. Preserving Wisconsin’s wetlands. No matter who you are or where you live, wetlands affect your life. They are in need of a volunteer office assistant, events assistant, and photo librarian. For more information, visit www.wisconsinwetlands.org or call (608) 250-9971. The Wisconsin Women’s Network, a group that aims to advance the status of women and girls through communication, education and advocacy, need volunteers to research and write grants, work around the office, help coordinate events, serve on committees, and participate on task forces that support child care, marital property reform and employment equity. For more information, visit www.wiwomensnetwork.org or phone (608) 255-9809. Women in Transition. Where recovery is reality. Providing residential, case management and social services to women with mental illness. Call (608) 244-2046 to find out about volunteer opportunities. Working Capital for Community Needs, which provides economic opportunities to small scale entrepreneurs and farmers in Latin America, is looking for volunteer work-study students or people to participate in study tours to learn about the culture, social issues, history and politics in Latin America. To learn more, visit www.wccn.org or call (608) 257-7230. WORT 89.9 Community Radio. WORT serves our community through quality, alternative music, news and public affairs programming produced by volunteers. At WORT you can meet interesting people while learning media skills, contributing to locally produced programming (93% of our 24/7 program schedule), supporting day-to-day operations of the station and assisting with fundraising and outreach events. No previous radio experience is needed. For an expanded list of current volunteer opportunities, to request more detailed information about specific volunteer duties and to schedule a tour of the station, you can reach him at volunteer@wortfm.org or (608) 256-2001.